Congratulations to 10 IIFA students selected to visit China from September 10 to September 21 for Sino Indian Cultural Workshops. Congratulations to 10 IIFA students selected to visit China from September 10 to September 21 for Sino Indian Cultural Workshops. Congratulations to 10 IIFA students selected to visit China from September 10 to September 21 for Sino Indian Cultural Workshops. Congratulations to 10 IIFA students selected to visit China from September 10 to September 21 for Sino Indian Cultural Workshops. Congratulations to 10 IIFA students selected to visit China from September 10 to September 21 for Sino Indian Cultural Workshops. Congratulations to 10 IIFA students selected to visit China from September 10 to September 21 for Sino Indian Cultural Workshops. Congratulations to 10 IIFA students selected to visit China from September 10 to September 21 for Sino Indian Cultural Workshops. Congratulations to 10 IIFA students selected to visit China from September 10 to September 21 for Sino Indian Cultural Workshops. Congratulations to 10 IIFA students selected to visit China from September 10 to September 21 for Sino Indian Cultural Workshops. Congratulations to 10 IIFA students selected to visit China from September 10 to September 21 for Sino Indian Cultural Workshops. Congratulations to 10 IIFA students selected to visit China from September 10 to September 21 for Sino Indian Cultural Workshops. Congratulations to 10 IIFA students selected to visit China from September 10 to September 21 for Sino Indian Cultural Workshops. Congratulations to 10 IIFA students selected to visit China from September 10 to September 21 for Sino Indian Cultural Workshops. Congratulations to 10 IIFA students selected to visit China from September 10 to September 21 for Sino Indian Cultural Workshops. Congratulations to 10 IIFA students selected to visit China from September 10 to September 21 for Sino Indian Cultural Workshops. Congratulations to 10 IIFA students selected to visit China from September 10 to September 21 for Sino Indian Cultural Workshops. Congratulations to 10 IIFA students selected to visit China from September 10 to September 21 for Sino Indian Cultural Workshops. Congratulations to 10 IIFA students selected to visit China from September 10 to September 21 for Sino Indian Cultural Workshops. Congratulations to 10 IIFA students selected to visit China from September 10 to September 21 for Sino Indian Cultural Workshops. Congratulations to 10 IIFA students selected to visit China from September 10 to September 21 for Sino Indian Cultural Workshops. Congratulations to 10 IIFA students selected to visit China from September 10 to September 21 for Sino Indian Cultural Workshops. Congratulations to 10 IIFA students selected to visit China from September 10 to September 21 for Sino Indian Cultural Workshops. Congratulations to 10 IIFA students selected to visit China from September 10 to September 21 for Sino Indian Cultural Workshops. Congratulations to 10 IIFA students selected to visit China from September 10 to September 21 for Sino Indian Cultural Workshops. Congratulations to 10 IIFA students selected to visit China from September 10 to September 21 for Sino Indian Cultural Workshops. Congratulations to 10 IIFA students selected to visit China from September 10 to September 21 for Sino Indian Cultural Workshops. Congratulations to 10 IIFA students selected to visit China from September 10 to September 21 for Sino Indian Cultural Workshops. Congratulations to 10 IIFA students selected to visit China from September 10 to September 21 for Sino Indian Cultural Workshops. Congratulations to 10 IIFA students selected to visit China from September 10 to September 21 for Sino Indian Cultural Workshops. Congratulations to 10 IIFA students selected to visit China from September 10 to September 21 for Sino Indian Cultural Workshops. Congratulations to 10 IIFA students selected to visit China from September 10 to September 21 for Sino Indian Cultural Workshops. Congratulations to 10 IIFA students selected to visit China from September 10 to September 21 for Sino Indian Cultural Workshops. Congratulations to 10 IIFA students selected to visit China from September 10 to September 21 for Sino Indian Cultural Workshops. Congratulations to 10 IIFA students selected to visit China from September 10 to September 21 for Sino Indian Cultural Workshops. 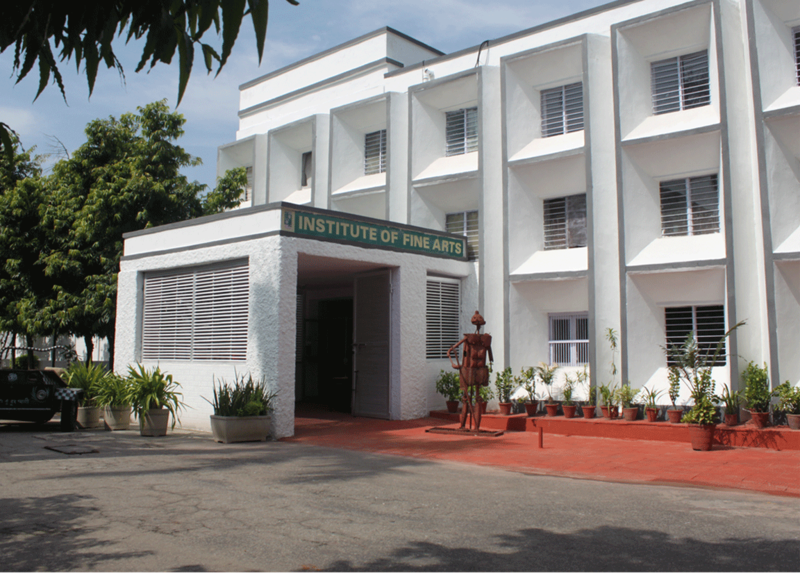 The International Institute of Fine Arts (IIFA) is one of India’s premier institutes offering courses in a wide spectrum of visual arts. 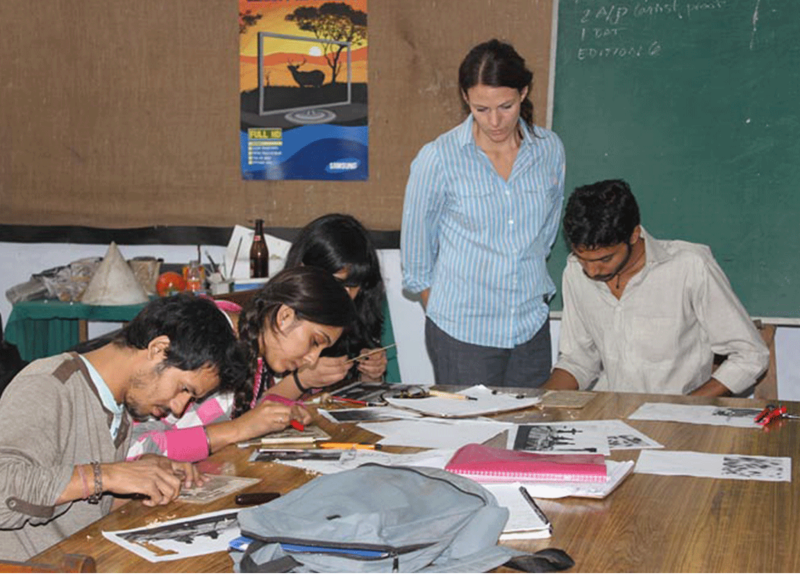 Besides permanent faculty, visiting British teachers provide an innovative and inspiring educative experience to our students. 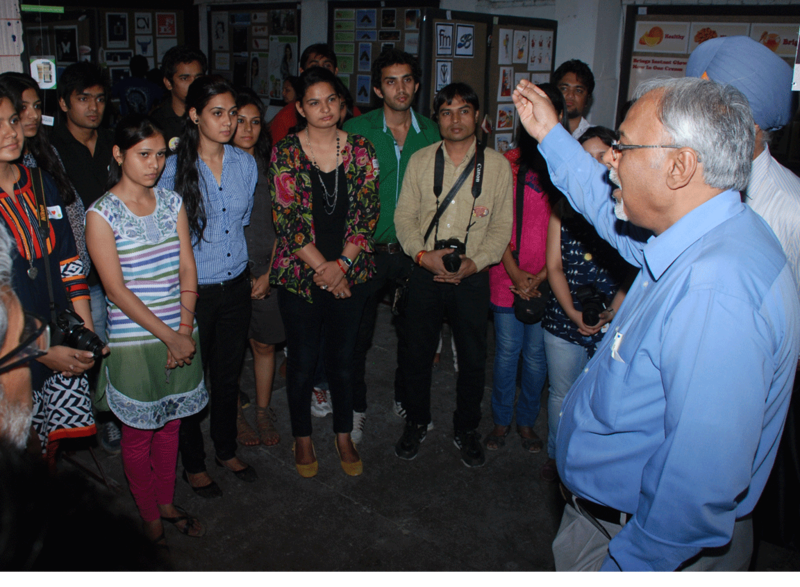 IIFA has an association with two UK-based institutions, the Royal Drawing School and the University of the Arts London. Each year, four alumni from the Royal Drawing School’s postgraduate level drawing year are sent for a three-month residency at IIFA, both as artists and as drawing tutors, working with the institute’s foundation-level students. For the Drawing School’s alumni this is an exciting and valuable opportunity to develop their artistic practice in a new and stimulating environment. Admissions for the academic session 2019-20 are closed. Students securing minimum of 50% marks in aggregate in the XIIth Board Examinations are eligible. Please keep checking your email after submitting application.